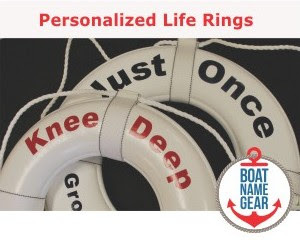 A new website - Custom Boat Names - is available that offers vinyl boat lettering that you can buy online and have shipped to your door - no hassels, no expensive sign shop at the marina. 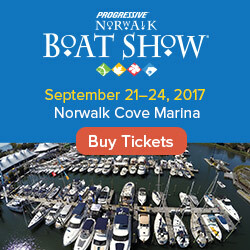 Of course you can preview your boat name online in all kinds of colors and literally hundreds of font styles, and even add an arch effect, drop shadows and borders. But what really makes Custom Boat Names unique is their Boat Name Idea Generator - they claim to have about 50,000 boat name ideas in their computer, and I believe them. You can click all day for some really wild and cool boat names. Keep clicking and you'll see famous boat names, boat names about your job, hobby, family or favorite movie. It's amazing how it seems to come up with so many boat names that fit my personality over the span of about 15 minutes. It is so easy to apply this stuff now, that it doesn't make sense to buy vinyl lettering any other way. And, Custom Boat Names has easy step-by-step instructions for removing old lettering. As for the bad luck that supposedly goes along with that, are you really going to let a little superstition get in the way of you and the finishing touches on your new boat?